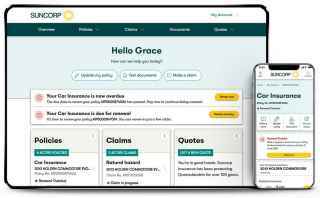 Manage your insurance and view your banking all in one place. We’ll help you follow the path to financial freedom with insights and stories. Apply for a personal loan online – submit, verify ID and sign documents online. Login once, connect your bank account and insurance policies and you’re done. 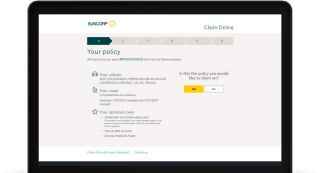 My Suncorp is new and improved, giving you a holistic view of your policies and bank accounts with fast and secure access. Keep an eye on your account balance by syncing your Suncorp bank account. At the same time access your Home & Contents, Landlord, Car, and CTP insurance policies with Suncorp, AAMI, GIO, Shannons, Apia and Bingle. Inside My Suncorp you can do everything from changing your address and contact details, to adding a new policy or paying a renewal. We’ll even send you alerts and reminders so you stay a step ahead. It’s just one of the ways we make it effortless to manage your insurances so you can focus on the things you love. 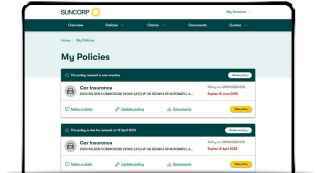 My Suncorp is the simple and fast way to lodge a claim, book an assessment and pay your excess (if applicable). We'll even send your claim number in real time so you can monitor its progress without the need to speak with an agent.